Random acts of kindness, big or small, can mean more than you know to someone our there! So I offer this challenge to everyone!! Take the Five day challenge!! Day 3- you get it!! By day 5 you will do FIVE RAK’s that day. Do not let the thought of five RAK’s in one day stop you! You may think ” I don’t see that many people, that I know, in one day!! Who can I be kind to?” It’s ok!!! You do not have to seek out people you know. These are RANDOM acts….. Just let it happen organically! The idea is to THINK about it. 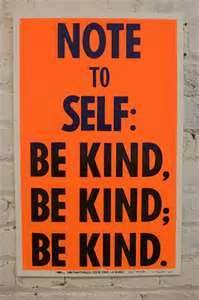 See by day five you will be thinking about kindness more than not thinking about kindness!! How awesome if everyone walked around looking for something to do to impart a small bit of kindness on another!! Do anything…. Big or small each day! Anything! Whatever it is just make sure it’s done with kindness in mind and heart. That’s it!! I’m going to post here each day what I did. Have a gratitude filled day everyone! And TAKE THE CHALLENGE!! ← Sunshine and Inner Peace Award! Great idea by D.F. Martin. Let’s do it. Reblogged this on Quiet Desperation.